How do I get into an Apprenticeship Program? The Fresno Area Plumbers, Pipe and Refrigeration Fitters Joint Apprenticeship and Training Committee will accept applications from qualifying applicants for the apprenticeship examination on the 2nd Tuesday of January, April, July, and October 2019. Must provide "original copy" of high school diploma or G.E.D certificate showing a minimum score of 35 in each test and 45 overall. Each applicant must be physically able to perform all work of the occupations covered by this program. Applicant must demonstrate the ability to read, write and speak English in order to comprehend instruction in relation to related training, on the job training, as well as ensure safety on the job. At the oral interview, the applicant will be required to provide a valid California driver's license and a DMV report showing a satisfactory driving record. Applicants with two (2) or more traffic violations and/or at fault accidents within the past three (3) years or one (1) or more serious traffic convictions (as determined by the committee) within the past three (3) years will not be accepted. Driving while under the influence of alcohol or while disabled by use of drugs. Refusal to take a breath analyzer test. Homicide, assault, or criminal negligence resulting from the operation of a vehicle. Driving while license is suspended or revoked. Reckless or dangerous driving which results in injury to a person. Must provide "original copy" of Drivers' License or Birth Certificate. Note... if you do not provide verification as stated at the time of the exam, you will not be allowed to test. Reading comprehension: you will be given an essay to read and study for fifteen (15) minutes, after which you will be given true/false questions to answer regarding the essay. General mathematics: math is the most important part of the test as it counts toward 50% of the total score. Math test consists of adding, subtracting, multiplying and dividing whole numbers, decimals, and fractions. Converting fractions in to decimals and converting decimals into fractions. You will be tested on reading measurements on a ruler down to 1/16th of an inch. Lastly, you will need to analyze and answer written math problems. Note: the above test is on an 8th grade aptitude high school level. We have found from past tests that the math portion of the test is where the applicants have the most difficulty. We suggest that you pick up a math workbook from local 246 or a bookstore in your area and brush up (especially on fractions). After the written examination, there will be an oral reading exam and an oral interview for those who pass each individual section (reading comprehension, figure visualization, mechanical ability, and general math) of the test with 70% minimum correct answers in each category. The average for both the written and oral exams will be taken to obtain a total score. This score will determine placement on available applicant's list. You cannot fail the oral interview. **please note…you will need to bring your DMV printout to the oral interview. All applicants when called to enter the apprenticeship program will be required to have a drug screening. Any applicant who refuses to take or who does not pass the drug screening will not be eligible for employment and indenturing into the apprenticeship program and shall not be eligible to make application for a period of 12 months from the date of drug screening. The applicant must agree to the screening. The joint apprenticeship training committee will cover to the cost of the screening. The applicant must agree to be screened on his/her own time. The applicant must agree that failure to have the screening completed will have his/her name removed from the applicants list. Failure of the drug screening test will result in the applicant being disqualified and his/her name being removed from the applicants list. An applicant who fails a drug screening for entry into the apprenticeship program shall not be allowed to re-apply to the program for one (1) year from the date of the failure. Apprentices are required to attend classes two nights per week at our training center in Fresno. Classes will be Monday and Wednesdays or Tuesdays and Thursdays from 5:30 p.m. to 9:00 p.m. school nights will be assigned. Apprentices do not have a choice of which nights they will attend class. Holidays and summer vacations are on a similar schedule as the public school system. You are committing to a five (5) year program of working on the jobsite eight hours per day and attending classes two (2) nights per week for the full five (5) years of training. Missing or being late for class or work will not be tolerated. Apprentices are required to maintain a minimum grade average of seventy percent (70%) at all times. It has been proven that applicants who have studied math, prior to the exam, have had overall higher scores. This information is only for your benefit. 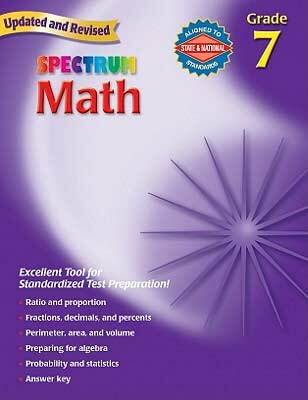 A great tool is the reference math book below. It can be purchased from most education bookstores.